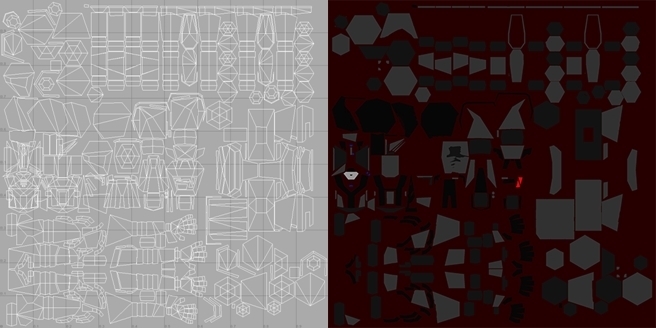 Below can be seen the UV map, texture, and to the right the character model that I created as part of one of the assignments for the Asset Creation module of my Computer Games Programming course. 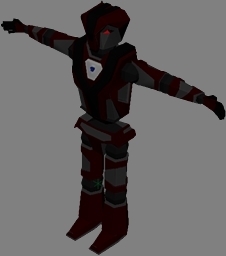 They were made using Maya 2016 and the character model has been rigged ready for animating. 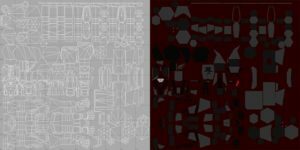 The texture and Maya file can be downloaded here. Since completing this assignment, I now consider myself capable of creating at least place holder art for a game that might approximate the final asset. Many of the modelling skills learned here are also transferable to other 3D modelling programs, much like skills learned in one programming language can be transferred to other languages.